As a newly transitioned vegan, I’ve realized that I’ve never made tofu scramble before, which in the vegan world, is basically the first thing that baby vegans make.Â That’s like never having made grilled cheese or Kraft Dinner before. Both are fundamental foods that people assign to home cooking and comfort food. Apparently I’m really on a comfort food bender right now (firstÂ chips, thenÂ sloppy joes, now scrambled “eggs”?). The best thing about comfort foods is that because people have such varied tastes, there are so many ways to customize comfort foods for the ultimate comfort. You like your scramble a little spicy? Add some sriracha or pepper. You like it with some salsa? That’s cool, pile it on. Want some cheesy goodness? Go ahead (unless you’re dairy-free, then I suggest Daiya or some other vegan cheese alternative). I was never really a huge fan of scrambled eggs, I was more an an over-easy kinda gal myself. But since I’ve been transitioning to vegan since October, the lack of eggs has gotten to me a little. I didn’t think I’d miss eggs until I went out to Doug’s Public Kitchen with some people from the Toronto Vegetarian Association. I was reminded of what it’s like to go out for breakfast and just get a breakfast special with a side of potatoes. The simple life. Nowadays I bring my own popcorn to the movies, my own lunch and snacks anywhere I go. I rarely go out to a restaurant without calling ahead or checking to see if I can eat anything. It’s been a challenge, but one I willingly accept. In other news, if you’ve been visiting JSA this week, you might have noticed some changes on the site. I’ve changed myÂ About MeÂ page to something a little more me. 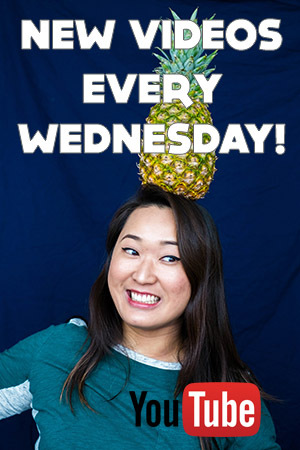 I’ve changed up the site layout and played with the ad placements because my site looked awkward before. 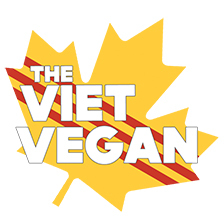 And most importantly, I’ve summed myself up in three words: vegan, feminist, and nerd. These three words are obviously very charged words that have so many stereotypes both negative and positive attached to them, and I’m willing to welcome any discourse people have in regards to those words. Those words describe me, and I hope to educate people on what it means to be vegan, feminist, and nerd. 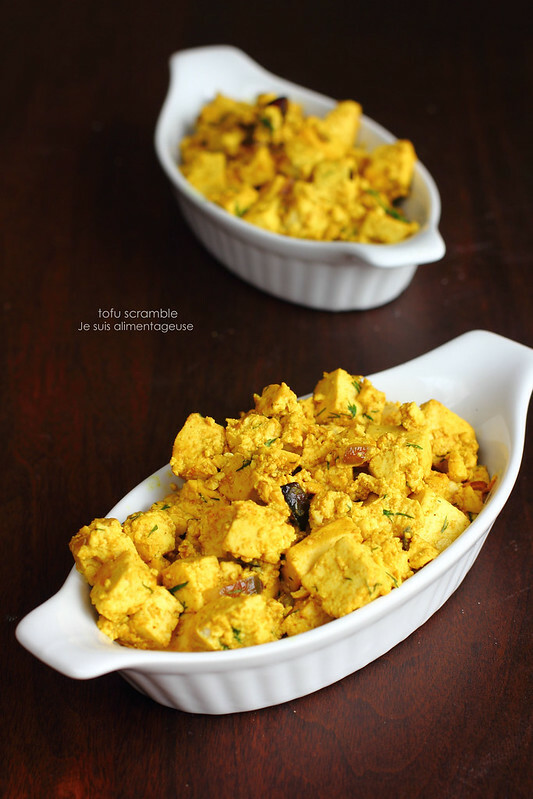 Over the next couple weeks I’ll go into more detail, but in the meantime, make yourself some tofu scramble for breakfast. It’s soft, surprisingly eggy texture can be seasoned to your tastes. You can stuff it in a burrito, top it on some toast, or have it straight up even with some ketchup and tempeh bacon. Yields 6 "eggs" worth of scramble. Press tofu and wrap the block in paper towel or dish towels and press between two flat surfaces with heavy objects on top for about 30 minutes. Once pressed, remove the dish/paper towels, and cut into cubes. In a small bowl, whisk together tumeric, nutritional yeast, water, and soy sauce until combined. In a large skillet over medium heat, sautÃ© onions in coconut oil until translucent and lightly browned. Add cubed tofu and pour tamari/tumeric mixture over. 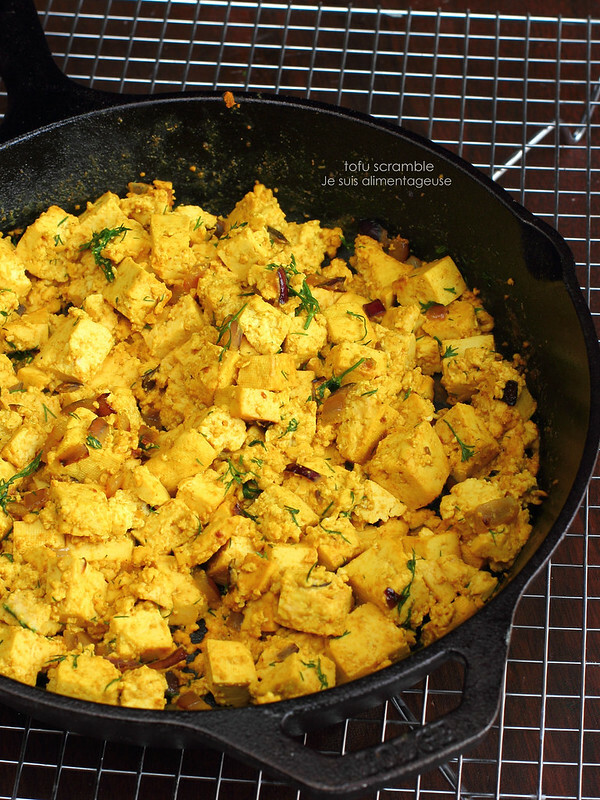 Use a wooden spoon to mix, gently scrambling the tofu to crumble them yet keep bigger chunks (or if you like it extra scramble-y, do as you will). Stir and cook until the tofu is coated and yellowed and starts to brown a bit. Wow you've been vegetarian for 24 years!! That's amazing =) Thanks for reading Skye! I hope you let me know when you try the tofu scramble, you can always adjust it to your tastes. Spicier, saltier, sweeter, whatever. It's super easy. And I'm working on the feminist post sometime soon, I've written academic papers about feminism in translation, but somehow just talking about straight-up feminism is a challenge because I don't know where to start because it's such a spectrum. People are at different ends of the feminist spectrum not only morally, but also in terms of knowledge. I didn't even know what feminism actually entailed until about 4 years ago. I've tried tofu in various forms, but just can't find any that really grab me. I'll give this a shot, hope it's good! I've always thought that scrambled tofu sounded boring, but I really enjoyed this. Thanks for the revelation!